I Gave Up Oak Hill for This! Today marked the debut of our weekly radio show on WECK 1230AM/102.9FM. I was looking forward to it, but was a bit torn. The Tee 2 Green radio show was live today from the famed Oak Hill CC in Rochester. It was breathtaking, as is the entire property. It was an honor to be there talking golf, but absolutely crushing having to turn down the invitation to stay and play. However, it was worth with to launch our first show and discuss Buffalo sports with you. BSP contributor Bob Gaughan joined us in studio to talk Bills football, in particular, Tyrod Taylor. Paul Peck and I are not that high on Taylor as the QB, but Bob made a strong case on just how good Taylor is given a weaker offensive line, and only one top notch receiver. Total team offensive numbers helped fuel Gaughan’s argument. I think Taylor is a smart QB, but not the one to lead the Bills to the playoffs. A question from a twitter follower was posed on the contract negotiations with Jack Eichel on an extension. There have been reports that the Buffalo Sabres and the star player are discussing a possible 8 yr extension. Both Bob and I agreed that we would advise Eichel to play it out and wait. He holds all of the cards (in our opinion)in negotiations. Who actually likes pre-season football? No need to lower your hands because none should have been up. Paul really dislikes it, and his stance was validated by BSP contributor and former NFL Personnel man, Greg Gabriel, who stated the first game pre-season game is completely worthless. That segment can be heard here in our BSP podcast. 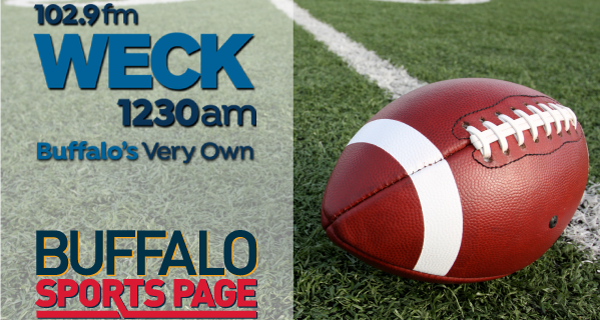 Be sure to join us each Saturday from 10 am–noon on WECK 1230AM/102.9FM, on twitter @buffsportspage, and the great show within the show on Facebook Live.